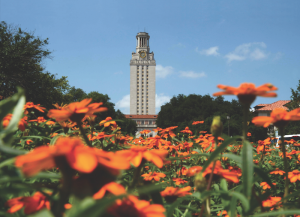 The Utopian is the print and digital bi-annual magazine of the Steve Hicks School of Social Work at The University of Texas at Austin. It provides a channel for greater awareness of programs and activities at the school by featuring news and articles on current research, education and outreach. All submissions are subject to editing and are used at the editor’s discretion. Opinions expressed in this publication do not necessarily reflect official school and/or university policy. Articles might be reprinted in full or in part with the written permission of the editor. We distribute The Utopian to alumni free of charge twice a year (spring and fall) via email and regular mail. If you are an alumni and are not receiving The Utopian, most likely it is because we don’t have your current contact information.